OLED microdisplay maker eMagin reported its financial results for Q1 2017. Revenues in the quarter were $6.1 million (down from $7 million in Q1 2016). Product revenues totaled $4.4 million (down from $5.3 million in Q1 2016 but up from $3.7 million in Q4 2016). Net loss was $2 million (compared to a net income of $11,000 in Q1 2016). At the end of the quarter eMagin had $3.8 million in cash and equivalents. The company's main objectives in the near future is to advance its technology and complete the direct-patterning development, achieve consumer design wins for VR and AR headset makers and sign a large-scale production agreement to support the large volumes required for consumer displays. 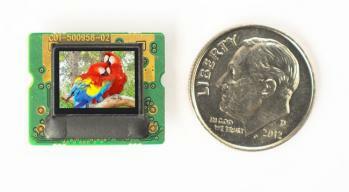 Regarding its direct-patterning displays, eMagin says that it completed a full-color 2K x 2K prototype with its advanced backplane technology. The new prototype achieves a brightness of over 5,000 nits.